Some 120 researchers, including some from Denmark, are part of a comprehensive new report that reveals that the Arctic is melting much faster than previously believed. 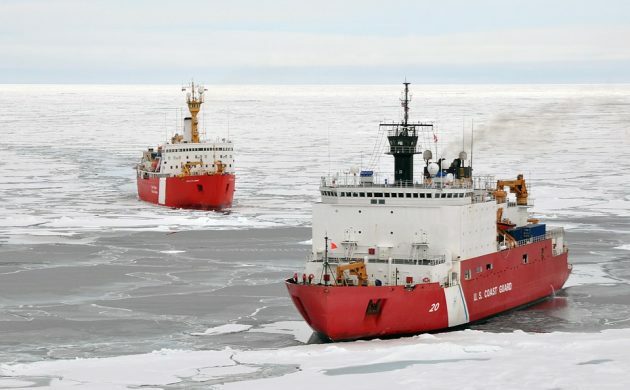 The report, ‘Snow, Water, Ice and Permafrost in the Arctic’ (SWIPA), was published by the Arctic Council today and concluded that the Arctic Ocean could be largely free of sea ice in summer time by the late 2030s. Other key findings included projected global sea levels being underestimated due to enhanced melting of Arctic and Antarctic glaciers, ice caps and ice sheets. Furthermore, the Arctic changes could be impacting weather elsewhere on the planet, such as influencing the southeast Asian monsoon. “The SWIPA report paints a worrying picture of the situation in the Arctic,” said the energy and climate minister, Lars Christian Lilleholt. READ MORE: Is burning the answer to a serious Arctic oil-spill? The SWIPA report shows that the heating up of the Arctic is occurring twice as quickly as the rest of the globe and is changing faster than anticipated. However, an ambitious reduction effort (on a par with the recent Paris agreement regarding keeping the global temperature under 2 degree C) would allow the world to avoid the worst consequences. “The report underlines the necessity of transitioning to more sustainable energy – not just in Denmark, but globally,” said Lilleholt. Over 90 scientists contributed to the report, which was subsequently peer-reviewed by 28 experts in a quality control process. Among the Danes to take part in the report were professors Torben Røjle Christensen and Søren Rysgaard from Aarhus University, and professor Jason Box of the Geological Survey of Denmark (GEUS). Read the entire SWIPA report here (in English). Consumed by the Arctic winter or eaten by his Greenlandic guide: what really happened to Denmark's lost explorer? Is burning the answer to a serious Arctic oil-spill?